Are you looking for the perfect asset for your next creative project? 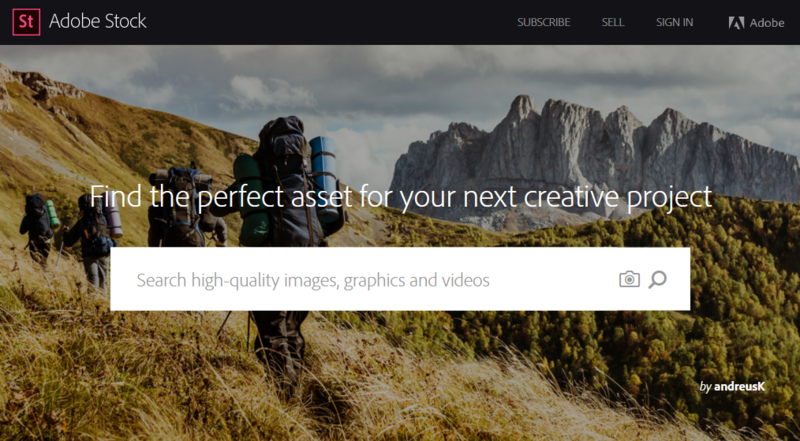 Adobe Stock may be just the right fit for you! Whats Adobe Stock you ask. It is a stock image library launched by Adobe as part of their integrated software platform in June of 2015. With over 40 million files from Fotolia, you already have plenty of choices to kick start your project. There are also curated collections to enhance your next masterpiece. It has already become one of the largest stock photo collections in the industry. The website supports 20 languages and is available in most countries. Image price starts at $9.99 for a single image. There are also subscription options for larger creative needs. Existing Creative Cloud users enjoy discounts. The stock site is integrated into Adobe software platform for easy design and licensing. Although the stock has been in the industry for a little over 3 years, it already shows one of the widest varieties of images available. After the acquisition of Fotolia, Adobe started the integration into their existing software subscription while keeping the former as a separate stock agency. The integrated Adobe Stock photos provide customers access to curated collections as well as the over 40 million files submitted by Fotolia contributors. Whether you are looking for stunning visuals for inspiration or the perfect asset to complete your creative projects, Adobe Stock has it all for you! Plus, it is integrated with your favorite Adobe editing software. You can save more time to create the perfect design. Open images directly from your web search results inside your Creative Cloud software, try out watermarked images, and replace them with high resolution versions in just a few clicks. Keep your ideas flowing with easy licensing with Adobe Stock!